The historic Box Hill Town Hall is a landmark in the municipality of Whitehorse. 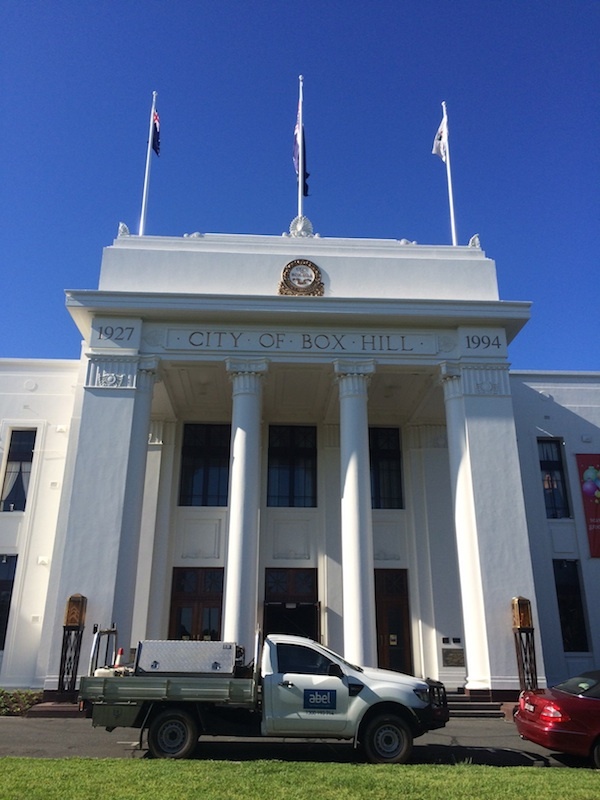 Built in 1934/35 in the Neo-Grec style and designed by local architects JS Gawler & JCA Isbett, Box Hill Town hall featured the date 1927 on the portico being the year Box Hill was declared a city, the City of Box Hill crest and three roof mounted flag poles. The year 1994 was later engraved on the portico being the year City of Box Hill amalgamated with other councils to form City of Whitehorse. The façade has also featured on Neighbours as the fictional Erinsborough Court House. Abel was recently commissioned to replace the aging timber flag poles with two 9m and one 10m Pinnacle Range Flag Poles. It was vitally important that the new flag poles replicated the original look of the existing flag poles. City of Whitehorse’s Stephen Doyle selected Abel’s conically tapered aluminium flag poles for their aesthetic appeal. 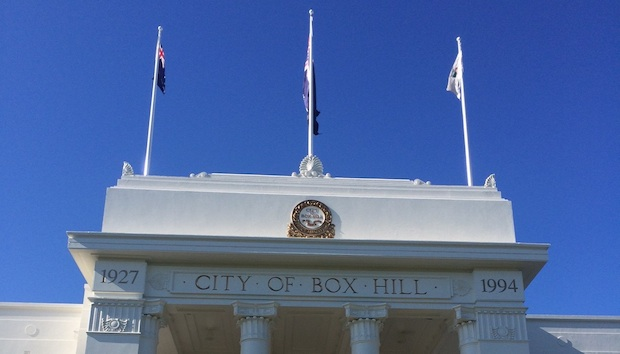 General Manager of Abel, Peter Mercer commented, “Box Hill Town Hall was one of many exciting flag pole projects Abel will be undertaking over the next few months. We always enjoy working with our clients on such projects for these landmark buildings”. For more information, call Abel Flag Poles & Flags today. Phone: 1300 193714.